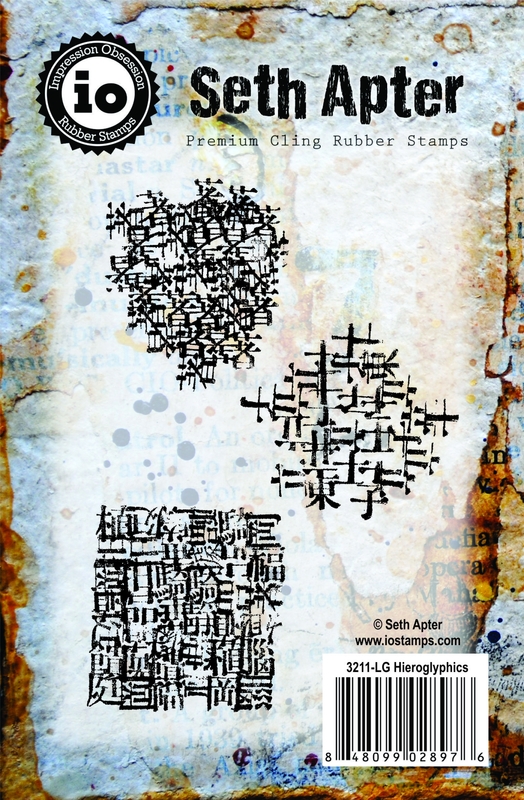 Hieroglyphics is a set of 3, hand-designed art stamps from my Impression Obsession collection. Made in the USA, these stamps are deeply etched, red rubber that is backed with repositionable cling cushion. The stamps range in size from 1.75 x 1.75 inches to 2 x 1.75 inches. All three stamps are repeating patterns of marks that can be used to add detail to your background and as abstract focal images for your journals and mixed media art.